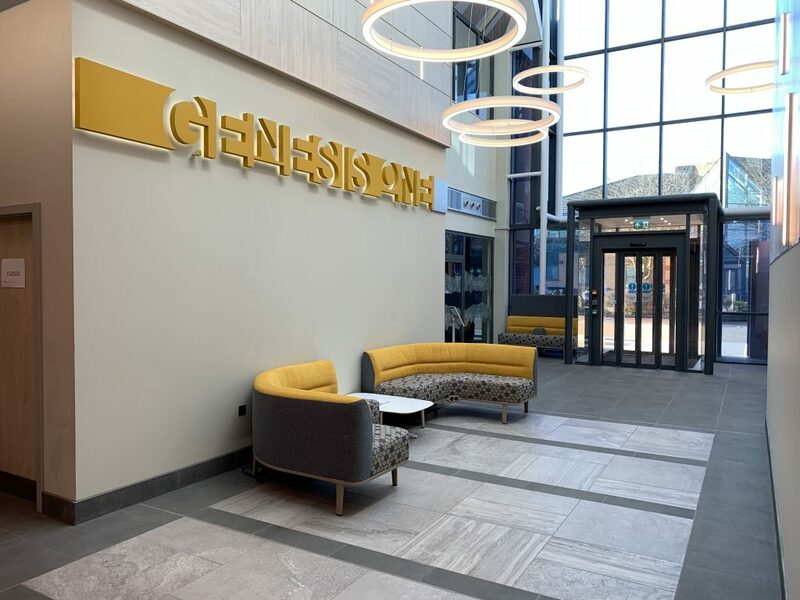 Firelec have recently completed the installation of the Fire Alarm, CCTV and Access Control/Intercom systems at Genesis Business Centre located in Woking. The fire alarm comprises of a fully addressable Advanced MX Pro control panel using the Apollo and Xpander protocol. 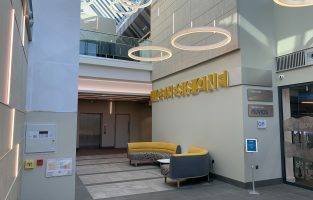 The system was designed to provide L1 coverage throughout the building, combining hardwired and wireless devices. In the glass atrium area we used the wireless Xpander system to overcome the difficulty of installing cables. This has proved to be a successful solution for this area. The system is also interfaced with the access control system, the lifts and mechanical equipment. The CCTV system installed is a full IP consisting of 16 x 8MP 4K cameras viewing general coverage of the building and car park perimeter. Cameras were carefully installed and coordinated with the client to optimize the best viewing angle and getting the best CCTV image as possible. CCTV is networked so the cameras can be viewed remotely form their head office. 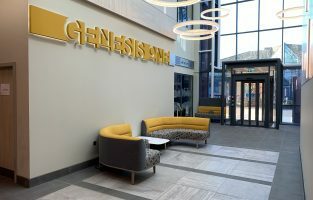 The access control system is fully networked covering the main entrance to the building as well as the internal entrance to each tenant’s floor. Paxton Net2 access control was used on this installation with HID readers. The system can be controlled from their head office making maximum use of the system easy as ever. 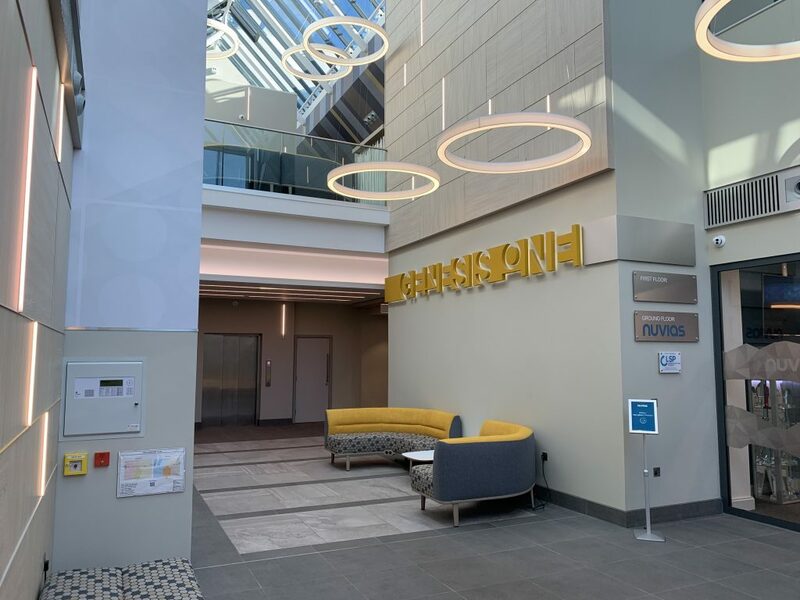 A new video BPT Vandal resistant Intercom system was installed on the main entrance with the ability to call the main reception of each tenant’s office with remote door release. Following the success of this project Firelec have been awarded the service contract for these systems and continue to provide ongoing maintenance and support for the end user.